St. Anthony and the Lucky Duck. Real estate agents, especially those with Irish ancestors, tend to be pretty superstitious. And I am quite typical, with a lucky cat on my desk in my office and a lucky cow painting that hangs behind my desk. My mother painted the cow, a Hindu prosperity thing, as a birthday present when I was a newbie Realtor. When my real estate license was brand new, I also got some serious advice from my grandmother about creating luck. During my training, the instructor told us to go buy some St. Joseph statues to bury upside down in the front yard of the listings we were about to get. But according to my wise old grandmother (now St Tootsie), St. Anthony is the true patron saint of real estate. OK. I’ve always known that he was great for finding lost car keys and parking spaces in Georgetown. But houses? When a house is for sale, the buyers are temporarily misplaced. And when working with buyers, finding that elusive appropriate house or condo can be very tricky. So throughout my career, I’ve placed a St. Anthony statue in the front window of each listing, and I always keep one in my car’s glove compartment when I’m showing homes to buyers. My second talisman, a goofy looking wicker duck has become a staging prop. When placed in a listing, it is, well, lucky. 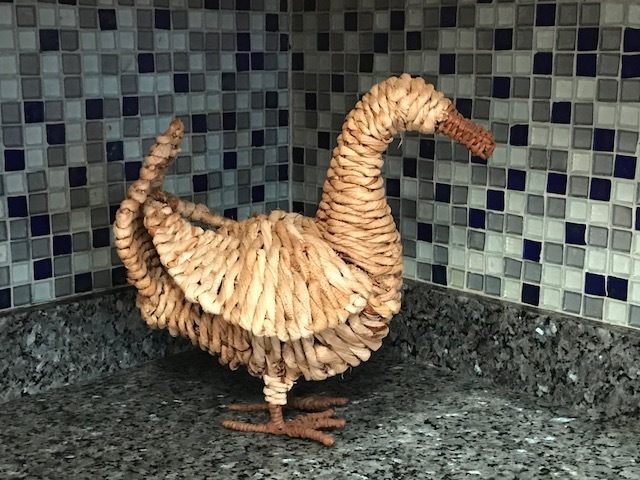 Recently a client objected to this creature in her otherwise beautiful kitchen, but then relented when I explained its role in getting her amazing Victorian home sold. Saints and lucky ducks may play a role in getting a house sold, even if the are simply a placebo. 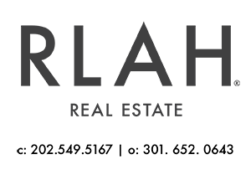 Real estate good luck charms are no substitute for a well-executed plan and an experienced Realtor who understands the nuances of your housing marketplace. If you are planning a move to from the DC Metro area this spring or summer, I’d love to help you make that happen! Previous Hi, I’m a Realtor and would like to come over and set off your burglar alarm!